Browse our collection of 14 Alexander Hamilton T-shirts, Towels and more. Designed and printed in the USA. 100% Satisfaction Guaranteed. 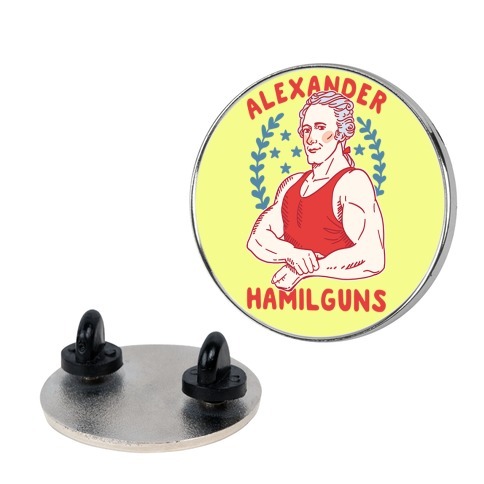 About this Design This Hamilton design is perfect for U.S. history nerds and Alexander Hamilton fans, whether you love the patriot himself or just the musical, Alexander Hamilguns is the best Hamil there is. This patriotic design is great for fans of fitness, fourth of July and patriotic . 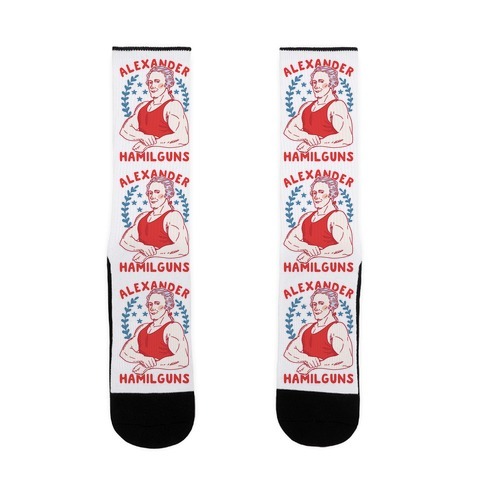 This Hamilton design is perfect for U.S. history nerds and Alexander Hamilton fans, whether you love the patriot himself or just the musical, Alexander Hamilguns is the best Hamil there is. This patriotic design is great for fans of fitness, fourth of July and patriotic . 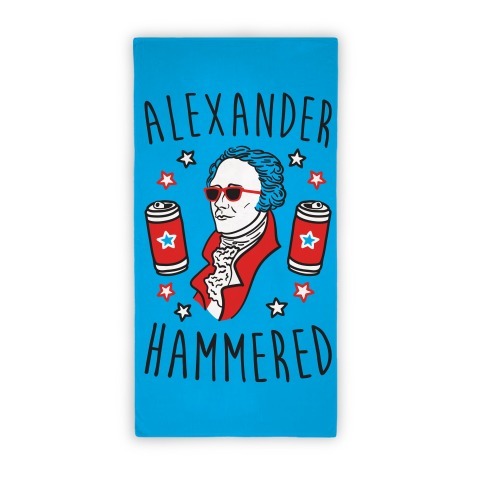 About this Design Get hammered Hamilton style with this patriotic design featuring the text "Alexander Hammered" with an illustration of Alexander Hamilton! Perfect for the 4th of July, partying, drinking, America , American pride, patriotic pride and fans of Hamilton! 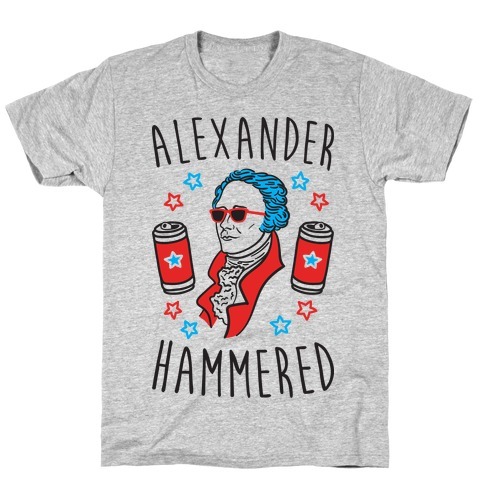 Get hammered Hamilton style with this patriotic design featuring the text "Alexander Hammered" with an illustration of Alexander Hamilton! Perfect for the 4th of July, partying, drinking, America , American pride, patriotic pride and fans of Hamilton! 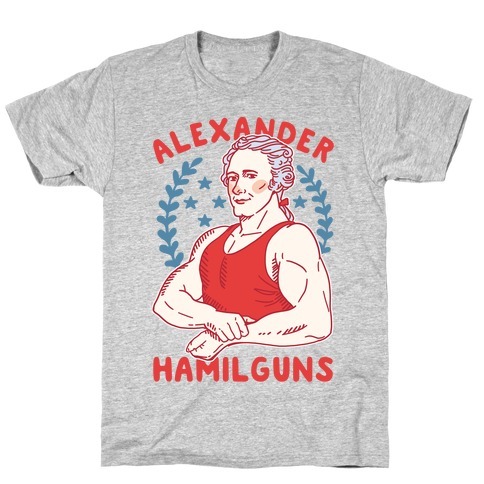 About this Design This Hamilton shirt is perfect for U.S. history nerds and Alexander Hamilton fans, whether you love the patriot himself or just the musical, Alexander Hamilguns is the best Hamil there is. This patriotic shirt is great for fans of fitness shirts, fourth of july shirts and patriotic shirts. 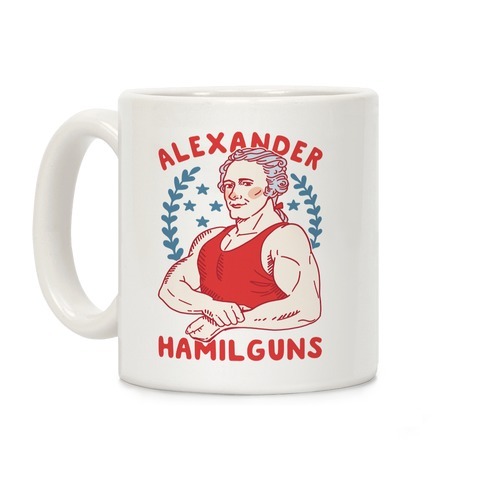 This Hamilton shirt is perfect for U.S. history nerds and Alexander Hamilton fans, whether you love the patriot himself or just the musical, Alexander Hamilguns is the best Hamil there is. This patriotic shirt is great for fans of fitness shirts, fourth of july shirts and patriotic shirts. About this Design I can lift a lot, like not just a ton, I can lift a Hamilton! 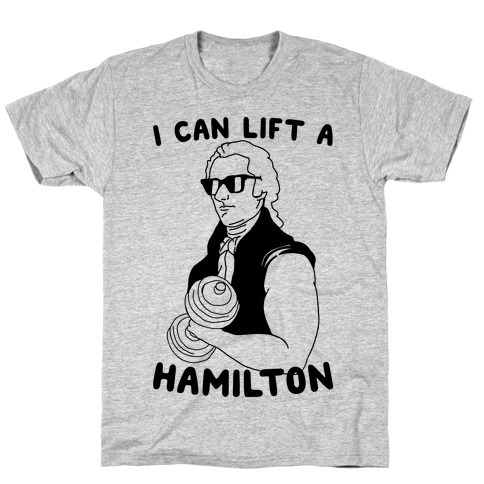 Show off your mad lifting skills with this and patriotic, Alexander Hamilton, lifting, workout shirt! I can lift a lot, like not just a ton, I can lift a Hamilton! Show off your mad lifting skills with this and patriotic, Alexander Hamilton, lifting, workout shirt! About this Design This patriotic shirt is great for the history nerds who love musicals, , merica and alexander hamilton, and speaking of "sorry for this hamil ." 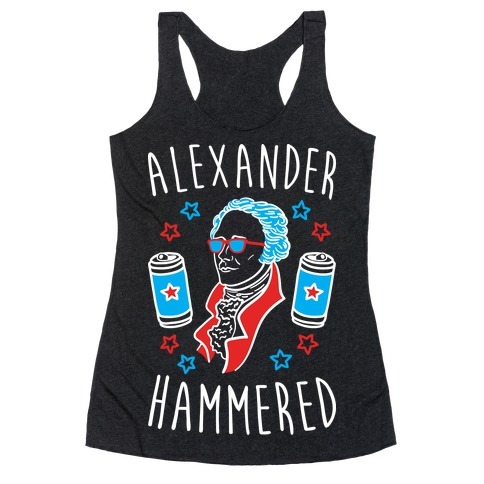 This Alexander Hamilton shirt is perfect for fans of merica , fourth of july shirts and usa . 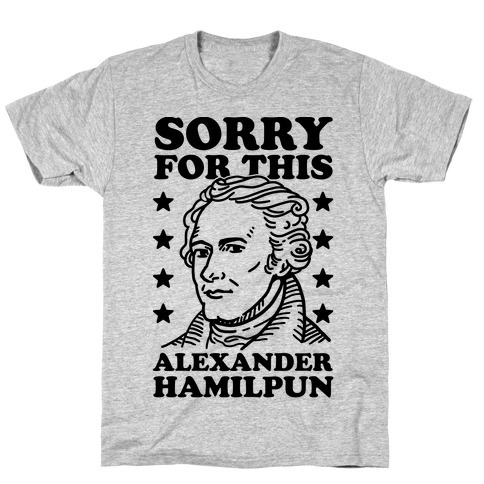 This patriotic shirt is great for the history nerds who love musicals, , merica and alexander hamilton, and speaking of "sorry for this hamil ." 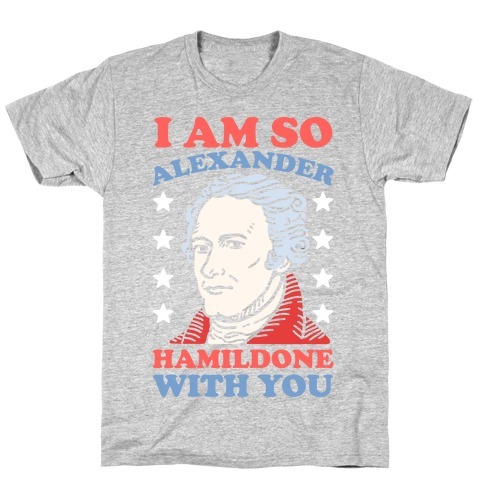 This Alexander Hamilton shirt is perfect for fans of merica , fourth of july shirts and usa . About this Design This Hamilton shirt is perfect for Hamilton musical fans, U.S History nerds and patriotic merica loving patriots that just wanna say "I am so hamilDONE with you." This merica shirt is perfect for fans of fourth of july shirts, and patriotic shirts. 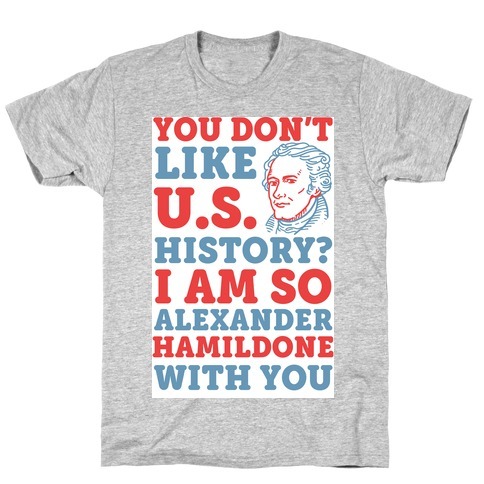 This Hamilton shirt is perfect for Hamilton musical fans, U.S History nerds and patriotic merica loving patriots that just wanna say "I am so hamilDONE with you." This merica shirt is perfect for fans of fourth of july shirts, and patriotic shirts. About this Design This Hamilton shirt is great for the history nerds who just love the United States of America and wanna say "You don't like U.S. history? I am so Alexander Hamildone with you." This fourth of july shirt is perfect for fans of merica , usa , patriotic shirts and usa shirts. This Hamilton shirt is great for the history nerds who just love the United States of America and wanna say "You don't like U.S. history? I am so Alexander Hamildone with you." This fourth of july shirt is perfect for fans of merica , usa , patriotic shirts and usa shirts. About this Design This fourth of july stickers is great for history lovers and best friends who just wanna shake and bake like George Washington and Benjamin Franklin. If you ain't first you're last, I'm alexander hamildone with you! These patriotic stickers are perfect for fans of usa stickers, patriotic stickers, George Washington, and alexander hamilton . 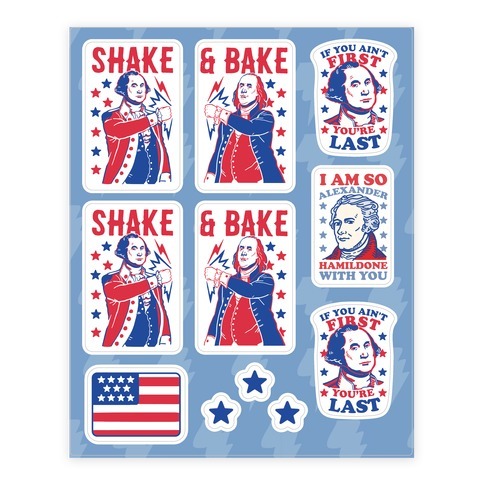 This fourth of july stickers is great for history lovers and best friends who just wanna shake and bake like George Washington and Benjamin Franklin. If you ain't first you're last, I'm alexander hamildone with you! These patriotic stickers are perfect for fans of usa stickers, patriotic stickers, George Washington, and alexander hamilton . About this Design This Hamilton shirt features Alexander Hamilton with this hip hop lyric "Dolla Dolla Bill Y'all." This patriotic shirt is perfect for fourth of july and fans of usa shirts, fourth of july shirts and musical shirts. 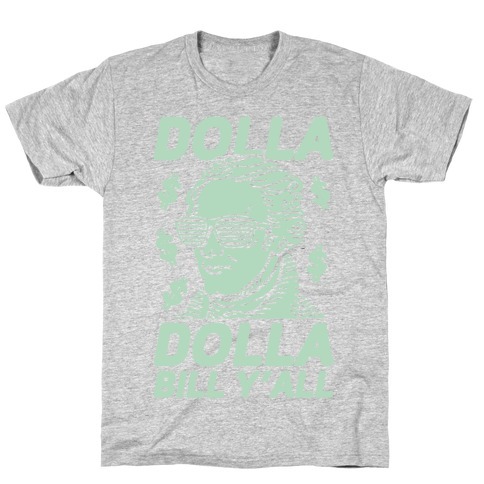 This Hamilton shirt features Alexander Hamilton with this hip hop lyric "Dolla Dolla Bill Y'all." This patriotic shirt is perfect for fourth of july and fans of usa shirts, fourth of july shirts and musical shirts.